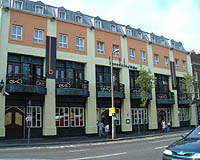 Benedicts restaurant is found on the first floor. Have you got Google Earth on your computer? If so, then download the Google Earth Map of Benedicts.